Grassical, Brevard College’s spring celebration will take place at Meyer’s Plaza on Thursday, April 11th from 4:30-9:30 p.m. Grassical is free and open to the public. The festival offers something for everyone including live music, food trucks, vendor booths, a dunking booth, and a pack of famous llamas. Grassical is a student-led festival presented by the Student Government Association and Campus Activities Board. Pretty Little Goat and The Remarks headline the music stage. Beet Juice, Brevard’s Open Mic house band, The Get Right Band, and The Craig Vaughn Experience will also play the festival. Blue Smoke BBQ will be on site serving hickory smoked meats with homemade sides. Appalachian Chic will have gourmet southern fusion cuisine. Vendor booths range from handmade pottery to hand-wrapped wire jewelry made by Brevard College students. Other activities include a dunking booth, slackline, and bicycle smoothies, but there may be some surprise entertainment, especially when llamas are involved. 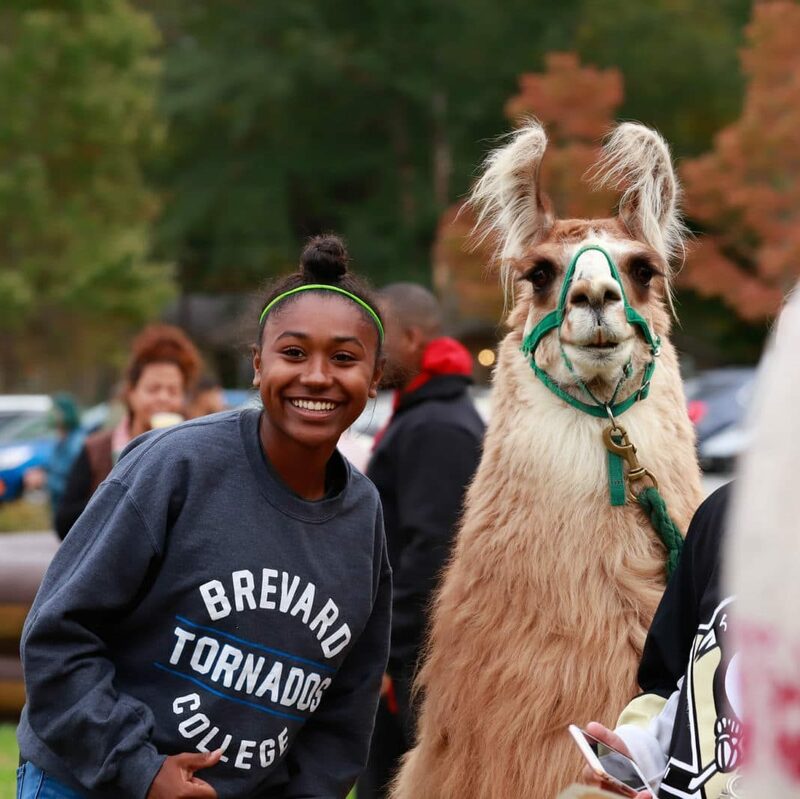 Mark English and his famous llamas have become a Brevard College festival favorite. Twice a year the llamas attend Brevard College for the Harvest Fest and Grassical. LLamacaddy and English Mtn. Llama Treks offer many fun and engaging activities such as llama treks, day hikes, overnights, and multi-day adventures, meet and greets, birthday parties, and llama golf. During Grassical, the llamas graze on the plaza grass and entertain festival goers with their unique personalities and quirky mannerisms. Grassical is a new annual event that combined Earthfest and Spring Fest together to create a new experience for Brevard College and the community. Students and the Brevard Community can revel in spring’s longer days by attending Grassical.